Individual local churches are active in mission in a variety of ways. 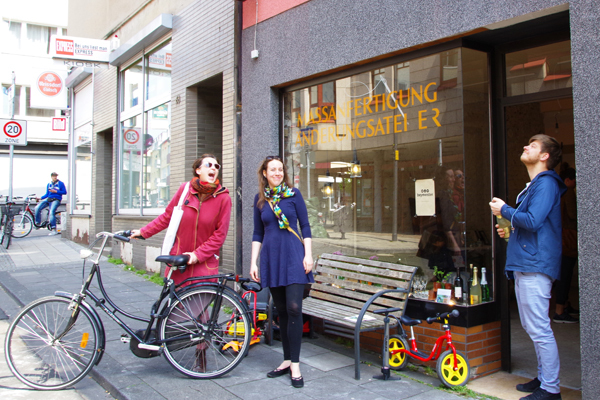 The project “die Beymeister” In Köln-Mülheim for example, has created a meeting point at a local shop for people between the ages of 25 and 40 with no church connections. The Evangelical Church in the Rhineland aims to be a “missionary church of the people". A Synod resolution relating to this says: “we need to find a convincing style of language for a modern society that is shaped by science and technology”. We can no longer reach all the people in the same way using one and the same form of language. “We are a church that goes out to people in order to bring them into contact with the Gospel, to invite them to have faith, to serve them and to call them to be converted to a new life of justice and solidarity”, says the Synod of the Rhineland Church. This dimension of church activity gains significance in the context of a plural society in which the position of traditional Christianity as a binding force can no longer be taken for granted. In concrete terms the Evangelical Church offers a variety of approaches for having faith and being a member. First and foremost there are the extensive activities of the local church congregations. At the wider national level there are special events such as “Kirchentag” (= large-scale gathering held every two years in different regions) and in the Rhineland itself for example the annual so-called “Missionale” convention.